How dirty is the air that you breathe on board? Piguillet and Sons was founded in 1994. After many years of experience in shipping, Mr Piguillet developed a revolutionary cleaning system for the internal cleaning of air ducts. The HPV System©. With a worldwide patent, Mr Piguillet Sr has launched what has now grown into a company that acts globally. Piguillet has its ‘roots’ in shipping and knows what is happening and what is being asked of us. Fully self-supporting and a ‘no-nonsense’ attitude with passionate people is what our company is known for. On board a 24-hour society prevails. Clean, fresh air is a must when it comes to the health of the crew. A small selection of apparently small but nevertheless important problems. A dirty HVAC-system contributes greatly to this. 1. The system of ventilation for sleeping- and messrooms should be checked, so that the air is guaranteed to be in good condition. In all conditions of weather and climate. (a) The air maintains at a satisfactory temperature and relative humidity compared to outdoor conditions, and ensures ad-equate air quality in all air-conditioned areas. (b) The system shall be constructed so that it permits cleaning and disinfection in order to prevent or control the spread of diseases. 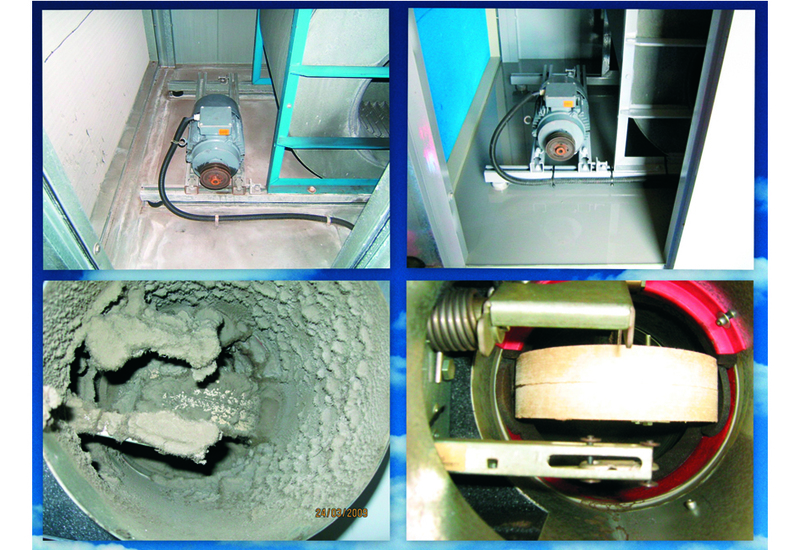 A dirty, rusted Air Handling Unit (AHU) contributes to the spread of bacteria and fungus. A well-conditioned and clean HVAC-system will contribute to a good and healthy environment and will result in a good working atmosphere. Get your Air Handling System cleaned and reconditioned professionally. No evacuation of personnel and no complete dismantling of your air-ducts necessary.